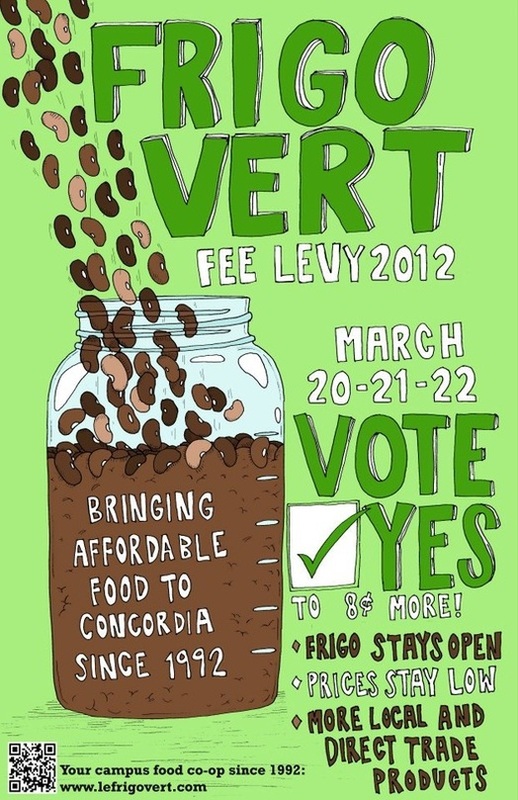 Concordians, I encourage you to vote in favour of Frigo Vert’s fee levy. I hail from the glass house on the 13th floor of the hall building, the Concordia Greenhouse Project, to represent the collective up here and express our overwhelming support and solidarity for Le Frigo Vert and their collective operation. Frigo is such an important place to support the environmental movement, because they really take care to find sources of food that are organic, and especially local and fair-trade when they can. As a great example, they are one of the Greenhouse’s distributors of local, organic microgreen salad mix! On top of it all, it is part of their mission to bring to you quality food at an affordable price, by selling in bulk and actively avoiding over-pricing thanks to their anti-capitalist mandate. The Greenhouse also has big dreams in the near future of increasing our food production to help finance ourselves, and Frigo has always expressed support for our mission of local, organic food production in the heart of the city, and would love as much of what we grow as possible. We really hope the Frigo gets the support they need from you students so that we can bring to you our fresh, beautiful produce grown with love and excitement. You’ll get more out of shopping at a place like Frigo because you know that people committed to issues of food security and urban sustainability are making it happen. I would like to end by quoting a fellow Greenhouse collective member, Nina Slykhuis-Landry, as she exited the greenhouse office today to get her supper from the Frigo: “When I think Frigo Vert, I think delicious food, healthy and humanitarian, and affordable. It’s the best combination.” Vote yes!